Director Jean Renoir's gentle, meditative The River (1951) looks at British colonial life in India through the eyes of a young girl. An idyllic portrait emerges, of life along the Ganges River, where 12-year-old Harriet (Patricia Walters) is the oldest in a brood of five siblings that includes a brother and four sisters who roam and play in their exotic family compound. Harriet's father (Esmond Knight) is the British owner of a jute factory in Bengal, her mother (Nora Swinburne) a content wife and mother, and the center of the children's lives their lively nanny Nan (Suprova Mukerjee). Mixing the ethnographic feel of Robert Flaherty's documentaries and poignant coming-of-age drama, the film is a thoughtful examination of life's flow seen through Harriet's experiences with first love as a prelude to maturity. The River is given its lush, poetic tone by its narrator Harriet who falls in love with a handsome war veteran and visitor (Thomas E. Breen) to India. Harriet is joined in her adoration by a beautiful friend Valerie (Adrienne Corri) and her Eurasian neighbor Melanie (Radha Shri Ram). The arrival of this handsome stranger stirs passions in girls, signalling the death of childhood and the dawn of their womanhood. Martin Scorsese once named this film the most beautiful color film ever made. • Renoir Introduction - in this archival introduction, Jean Renoir explains how The River came to exist and discusses the production process. In French, with optional English subtitles. (8 min, 1080p). • Martin Scorsese - in this archival video interview, director Martin Scorsese recalls how he discovered Jean Renoir's The River and explains what makes the film so unique. The interview was conducted exclusively for Criterion in the fall of 2004. In English, not subtitled. (13 min, 1080i). 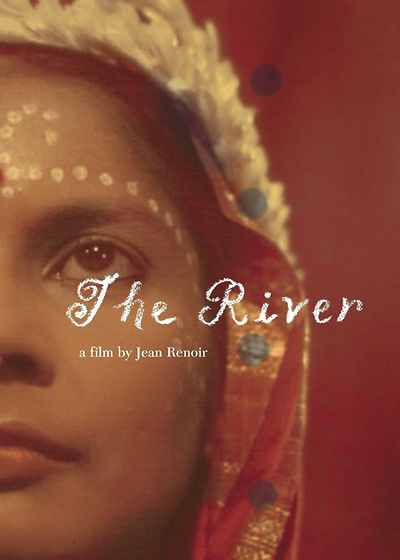 • Around the River - this wonderful documentary film focuses on the life and legacy of Jean Renoir and the production history of The River. Included in it are archival interviews with director James Ivory, Alexander Sesonske (academic and Renoir's friend), Kenneth McEldowney (producer of The River), Ram Sen Gupta (cameraman), and the great Bengali director Satyajit Ray, amongst others. The documentary was produced by French filmmaker Arnaud Mandagaran in 2008. In English, not subtitled. (60 min, 1080p). • Kenneth McEldowney - presented here are audio excerpts from an interview with producer Kenneth McEldowney that was conducted exclusively for Criterion in Los Angeles in 2000. In English, not subtitled. (48 min, 1080p). • Jean Renoir: A Passage Through India - this new visual essay focuses on the life and career of Jean Renoir (with an emphasis on his work after the war) and filming of Rumer Godden's novel The River. Included with the essay are production stills and plenty of archival footage. The essay was produced by film writer Paul Ryan. In English, not subtitled. (15 min, 1080p). • Trailer - original trailer for The River. In English, not subtitled. (3 min, 1080p).